Dwarkadhish Temple is one of the major Tourist Attraction in the city of Mathura. The current structure was established by Seth Gokul Das in 1814. The architecture of the temple is splendid. 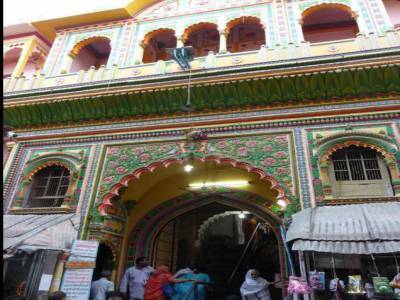 Dwarkadhish Temple is well maintained and has beautiful idols of Lord Krishna, Lord Balaram and Radhaji. 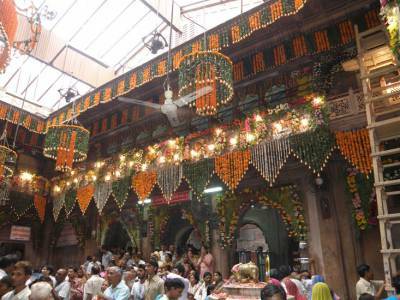 The Lord Krishna is worshipped here by the name Dwarkadhish and thus name was given to the temple. 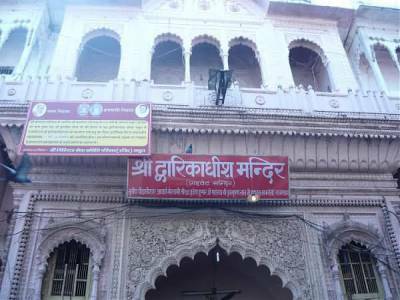 The main attraction of the temple is the beautiful deity of Lord Krishna which is made up of black marble and deity of Radharani, made up of white marble.The temple is having a good large premises with the main building enclosed by a magnificently carved Rajasthani style entrance with steps leading to temple courtyard. The temple has the images of all gods and goddesses. 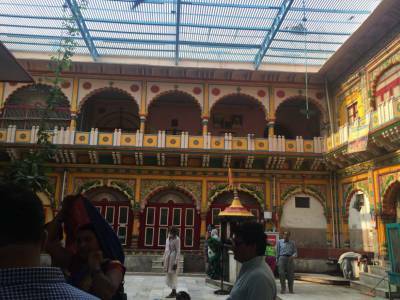 The temple complex is very beautiful and attractive.The temple welcomes thousands of visitors and people from all over the country come to this sacred shrine to receive the blessings from the Lord at the time of festivals such as Holi, Janmashtami ,Hindola festival (Occurring in July/August), Swing festival etc. 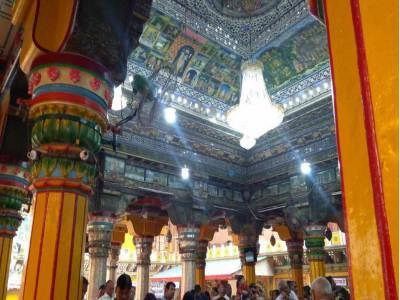 Get quick answers from travelers who visit to Dwarkadhish, Mathura.